on 17 March 2014 . An old man was asked, "What is humility?" and he said in reply, "Humility is a great work, and a work of God. The way of humility is to undertake bodily labor and believe yourself a sinner and make yourself subject to all." Then a brother said, "What does it mean, to be subject to all?" The old man answered, "To be subject to all is not to give your attention to the sins of others but always to give your attention to your own sins and to pray without ceasing to God." An old man said, "Every time a thought of superiority or vanity moves you, examine your conscience to see if you have kept all the commandments, whether you love your enemies, whether you consider yourself to be an unprofitable servant and the greatest sinner of all. Even so, do not pretend to great ideas as though you were perfectly right, for that thought destroys everything." 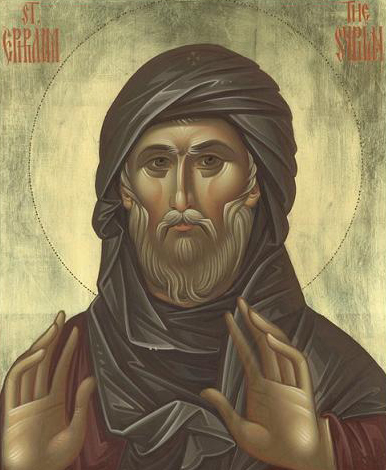 As abba Macarius was returning to his cell from the marsh carrying palm-leaves, the devil met him with a sharp sickle and would have struck him but he could not. 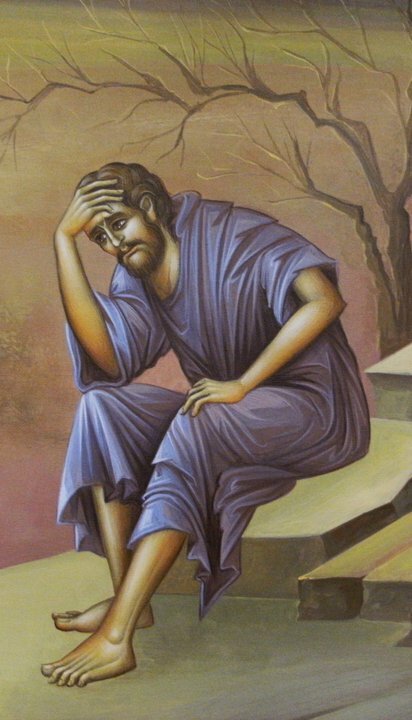 He cried out, "Great is the violence I suffer from you, Macarius, for when I want to hurt you, I cannot. But whatever you do, I do and more also. You fast now and then, but I am never refreshed by any food; you often keep vigil, but I never fall asleep. Only in one thing are you better than I am and I acknowledge that." Macarius said to him, "What is that?" and he replied, "It is because of your humility alone that I cannot overcome you." The Akathist Hymn, which in its present form was added to by many Ecclesiastical Hymnographers, existed for most part even before it was formally accepted by the Church in 626 AD. 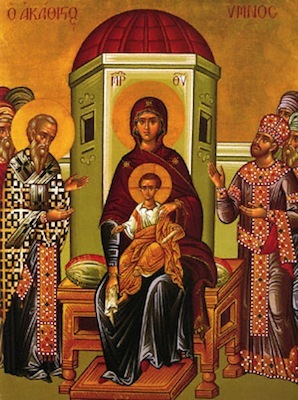 The Kontakion "To the Invincible Champion... we ascribe the victory" was added then, and came to be recognized as the Akathist Hymn, because of the following described miracle attributed to the intercession of the Theotokos. While the Emperor of Byzantium Heracleios was on an expedition to fight the aggression of the Persians on their own grounds, there appeared outside the walls of Constantinople barbaric hordes, mostly Avars. The siege lasted a few months, and it was apparent that the outnumbered troops of the Queen City were reaching desperation. However as history records, the faith of the people worked the impossible. The Venerable Patriarch Sergius with the Clergy and the Official of Byzantium Vonos, endlessly marched along the great walls of Constantinople with an Icon of the Theotokos in hand, and bolstered the faith of the defenders of freedom. The miracle came soon after. Unexpectedly, as the chronicler narrates, a great storm with huge tidal waves destroyed most of the fleet of the enemy, and full retreat ensued.